I wanted to update my blog and let my readers know that I am now a Certified Kinesio taping practitioner or a CKTP. Although I have been using Kinesio tape for the past 5 years in my practice, now I am official. This technique has been helpful in my practice in conjunction with the graston technique in alleviating difficult to treat conditions like Carpal tunnel syndrome, lateral epicondylitis or tennis elbow, plantar fascitis and many other conditions. I especially like the taping method for patients that suffer with sciatica and herniated discs. My protocol for the herniated disc involves treatment on the DRX 9000 spinal decompression table, Spinal decompression Rehab designed to strengthen deep spinal muscles, core strengthening, postural stability and proprioception using the SpineForce. I also utilize a lumbar orthosis and tape using kinesio tape to assist weak muscles and decrease the swelling in the injured area. 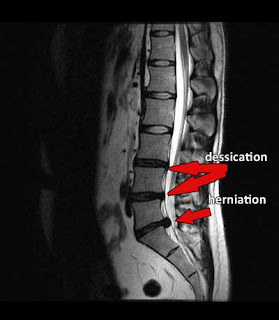 Is spinal decompression for everyone? I have seen patients that I thought would never respond because of pre existing conditions like a previous surgery respond amazingly to spinal decompression and I have also seen patients do everything we recommend and still need medical intervention to alleviate pain. I have seen published success rates from 75%-89% just visit www.axiomanswers.com this site has all of Axiom's latest publications and upcoming studies. I have never seen anyone injured on this table or with this treatment protocol. In my practice we offer Pain management with a Medical doctor, Acupuncture,Spinal decompression, Cold laser therapy, Physical therapy, Chiropractic, Medical massage and nutritional therapy.